JUST SOLD - 36,619 Sq. 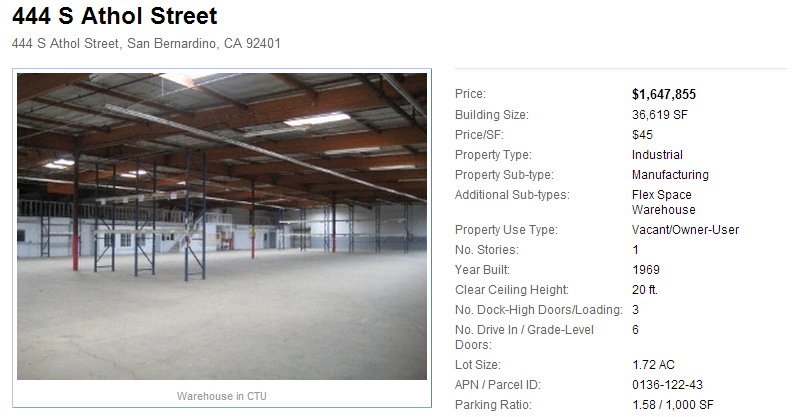 Ft. Industrial Building - News - Resources - Allied Commercial Real Estate, Inc.
Allied Commercial recently closed escrow on an Approx. 36,619 Sq. Ft. Freestanding Industrial Bldg on a 1.72 Acre Lot. Located just East of Arrowhead Credit Union Stadium and South of Downtown City of San Bernardino. Within Minutes of Interstate 10, 210 & 30. Approx. 36,619 Sq. Ft. Freestanding Industrial Bldg on a 1.72 Acre Lot. The facility was upgraded and modernized in 1998 and includes a fully fenced and secured yard. Fire sprinklered throughout. Seller is willing to look at all reasonable offers and may be willing to carry paper with qualified buyer. Also available for lease. Please contact agent for showing instructions.Located just East of Arrowhead Credit Union Stadium and South of Downtown City of San Bernardino. Within Minutes of Interstate 10, 210 & 30.